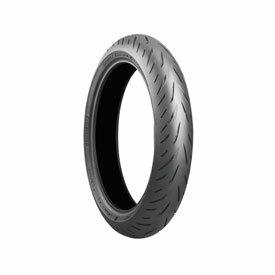 The Bridgestone Battlax S22 Hypersport is Bridgestone’s premier tire for the modern street sport bike. Starting where the S21 left off, the S22 has improved both the compounds and pattern design, to promote better handling in all conditions, without compromising wear. Front and rear compound improves the S22’s dry grip. Front and rear pattern design, and a rear compound improves the overall wet grip, improved wet performance by utilizing fine grain Silica. Improved handling response due to increased pattern rigidity.